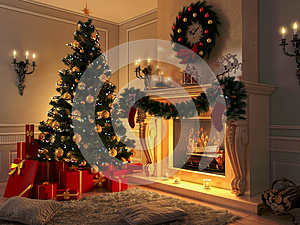 Photo title: Interior with Christmas tree, presents and fireplace. Postcard. Pictures shows New year interior with Christmas tree, presents and fireplace. Postcard.